The world of online casino has increasingly become one of the world’s most popular activities and it’s not hard to see why. The industry is ever-changing, has constant improvements in games, and also features lots of other perks that you can’t get in a land-based casino. All of these benefits appeal to new players and those who love playing at casinos, whether they’re online or real. Unlike a land-based casino, the online equivalent is open 24 hours a day, seven days a week, meaning that there are no longer any time restrictions on gameplay. As has been already mentioned, the ever-changing nature of an online casino means that players are never bored when they’re playing their favourite games online. On top of that, there is such a huge selection to choose from. Whether you like traditional casino table games like blackjack or roulette, or you like slot games, there really is something for everyone to play and enjoy at an online casino. At onlinecasino.ie, we’ve looked at a vast range of casino offers and promotions that’ll help you decide which casino you’d like to join and win big jackpots from. We’ve reviewed the welcome bonus that’s available at one of Ireland’s favourite casinos, Mr Green, and it’s one of the best around. New players at Mr Green Casino can play their way to Las Vegas with the welcome offer. There aren’t too many other casinos that provide this kind of offer. There are three stages to the welcome offer at Mr Green. The first step is a first deposit bonus. A first deposit bonus is very easy to understand and it is effectively a bonus on the amount that you’ve deposited when you sign-up at a casino. Mr Green will double first deposits up to €100 and to be eligible for this, players must make a minimum deposit of €20. The second step of the offer sees players awarded with 100 free spins to be used on the hugely popular NetEnt slot game Starburst. However, players aren’t given these free spins all at once and they are given out over a period of 20 days, with five per day. The trip to Las Vegas is available to lucky players as a way of celebrating Mr Green’s 10-year anniversary. It’s not just the welcome bonus that is available to players at Mr Green, as there is a wealth of offers lying under the Promotions tab on the site. As good as new customer offers are at casinos online, they only last once and there needs to be an incentive for players to continue enjoying casino games. Clicking on the Promotions tab will take you to the page where you can find all sorts of casino promotions. There are plenty for those who play at Mr Green’s live casino, while there’s lots, all appealing to different types of player, whether they’re high rollers or novices. One of the key technological developments that the casino world can be grateful for is the introduction of the mobile casino. Having the ability to play a range of casino games while playing from a smartphone or tablet has enthused a whole new customer base, as there are now no restrictions from where you can play casino games from. As long as you have a working internet connection, you can now play from wherever you want, whenever you like. Mr Green have a leading casino app, which features their most popular games, all with impressive graphics. Playing on both smtablet and smartphone devices has completely changed the gambling industry and it means for a much more accessible gambling experience. Before you accept the Mr Green bonus, or any other kind of bonus for that matter, there are always terms and conditions to consider. It’s the same for all bonus offers, including free spins, jackpots, refund offers and any other cash prizes. There’s no bonus code to enter in at Mr Green Casino, all you need to do is make a deposit of €20 or more on the site, so it’s very easy and straightforward to accept this. It’s very important to make sure that you’re fully aware of all the facts, conditions and wagering requirements surrounding a deposit bonus or any welcome bonus before using it. There’s nothing worse than winning on a casino bonus, then realising that you’ve misread or misinterpreted some of the conditions that are relevant to the promotion. 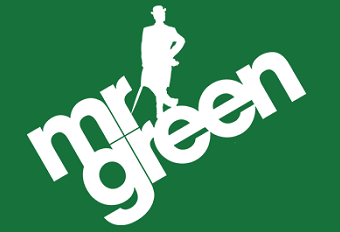 New customers at Mr Green Casino must wager their bonus 35 times and adhere to the general terms and conditions.